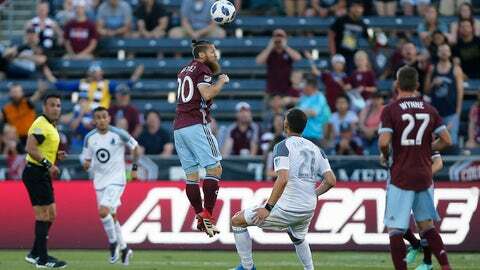 COMMERCE CITY, Colo. — Tommy Smith scored in the seventh minute of stoppage time to give the Colorado Rapids a 3-2 victory over Minnesota United on Saturday night. Minnesota’s Miguel Ibarra tapped in the rebound of Darwin Quintero’s to open the scoring in the 20th minute. Edgar Castillo tied it in the 50th with a rising blast into the far corner from the edge of the box.